The waning years of the fourteenth century are a bloody time in London, it seems. Recently buried corpses have been seen traipsing about the cemetery at St. Modwen’s church, dragging their coffins. A seven-year-old has confessed to killing his best friend’s father, a wealthy cloth merchant, and a relic related to St. Modwen has disappeared from that same household. Enter Crispin Guest, the so-called Tracker of London, who solves mysteries like these for sixpence a day. The Deepest Grave is the eleventh novel of the series featuring his adventures, but Westerson catches you up on his previous career as a knight serving John of Gaunt, when Crispin had a title, lands, and power. He lost them because he backed the wrong horse when Richard II ascended the throne. If the series goes another seven historical years, Crispin’s fortunes should improve when Henry Bolingbroke, Gaunt’s son, usurps Richard’s crown. Naturally, however, Westerson’s characters don’t know this, and just about everyone reminds Guest, in one way or another, that he’s a traitor lucky to be alive. One who’s kinder is his former lover, Philippa Walcote, mother of the boy who has confessed to murder — an impossibility, by all accounts, yet the child figures to hang unless Crispin can work his rational magic. I like Guest’s comedown, which forces our hero to earn an honest living and abide in humble conditions, with his apprentice, Jack, and Jack’s pregnant wife. This unusual ménage makes for an intriguing setup and offers opportunities that, unfortunately, Westerson fails to exploit. For instance, the narrative never delves past the surface of its disgraced protagonist’s feelings, whether as a once-favored somebody who has lost everything, or a middle-aged man who has never married. The narrative tells you straight out that he has regrets, but I wanted to see them in action, especially his struggle with them, and how others might view them. Further, he’s too decent to chafe at his reduced circumstances, which I find unrealistic and a shame. Anyone of any era would have strong feelings about falling from grace, and this is the fourteenth century, when venality’s the rule rather than the exception. But Westerson has a different agenda. Character doesn’t drive The Deepest Grave, which is fine, but I wish it were harder to tell the good guys from the bad, or that her people showed more than a single, overriding trait. Also, a few interactions Crispin has when he’s not solving crimes feel predictable and pat; I’d like this book a whole lot better if his private life were messier. He was able to enjoy the night, the stars peeking in and out of the cloud cover, wisping across the night sky between the tall buildings. The glittering stars marched ahead of them on a cloudy trail. The shops and houses were blue in the falling light. Only the wealthier houses had gleaming candles shining through glass windows. The rest were barred with shutters, with only a stripe or two of light. To me, paragraphs like these—the only exterior descriptions in the novel–give little sense of London or fourteenth-century English life. I get that the sky is cloudy, but I don’t really visualize it, or what Guest thinks about it; and that sky could have been there yesterday as well as five hundred years ago. How tall were the buildings? What did the glass look like? The streets? Nevertheless, The Deepest Grave has its charms. Westerson integrates the two stories, the churchyard walks and the merchant’s murder, with skill and economy. She deftly employs “no — and furthermore,” so that nothing comes too easily for Crispin, who makes mistakes. Unlike Crispin the man, the Tracker of London follows a less predictable path, and the puzzles will keep you guessing. The Deepest Grave makes thinner, less satisfying fare than other historical mysteries from Severn House, but it’s entertaining and clever in its way. 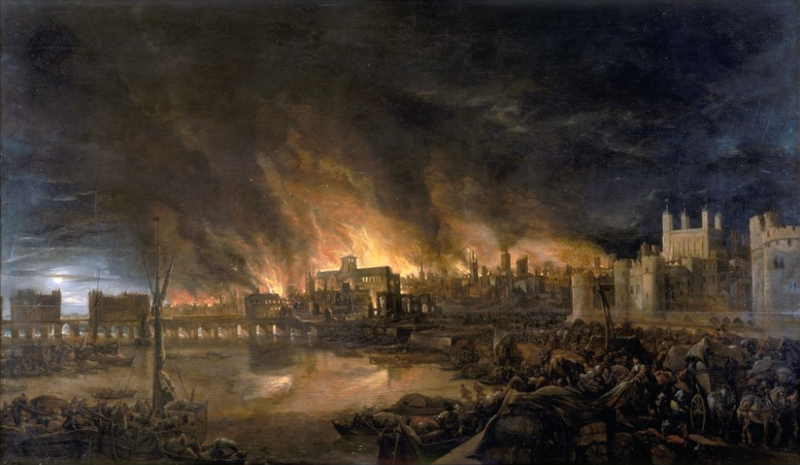 Given its numerical sequence, the year 1666 evokes portents of deviltry in many superstitious people who lived then, so the Great Fire that ravages London can only have a malign explanation. The cause isn’t hard to figure, for within living memory, Oliver Cromwell had a king’s head struck off, an act that still divides the country, and which many assume has invited divine vengeance. But the heavens have no monopoly on violent expression, for the dead monarch’s spendthrift, wastrel son has regained his throne, fixated on eliminating anyone connected with his father’s execution. Suffice to say that English folk have myriad motives for killing or extorting one another, as if they believed the fire hasn’t gone far enough, and further destruction requires their assistance. James Marwood, a young clerk of quick wit but poor prospects, must negotiate this political and social maelstrom against terrific odds. In the ashes of St. Paul’s Cathedral, a man’s body has been found, stabbed expertly in the neck, with his thumbs bound together. James must investigate while maintaining his clerkship to an irascible, suspicious newspaper publisher who hobnobs with the great. Naturally, the great take a keen interest in the murder case. Naturally too, their number keeps growing, their interests conflict, and they each take James aside to enlist his aid, bargains in which he has no choice. Not only must he please them to remain employed, what little income he has must support his ailing father, who served five years in prison for his association to the regicide faction, a fact no one has forgotten. Should James disappoint any of his taskmasters, Marwood père will likely dangle from a rope, and James may follow after him. Further–and what a brilliant stroke–James dislikes his father, a difficult, selfish man who cares only for his apocalyptic visions, and who, in his half-demented state, is liable to wander off, preaching seditious monologues that will bring the king’s soldiers running. So James has absolutely no freedom in which to move; he’s caught between many fires, not just the one burning the city. Meanwhile, there’s Catherine Lovett, a young woman whose father also belonged to the regicide faction and has spent years on the run. Catherine, or Cat, as she’s called, lives with her aunt, uncle, and lecherous cousin, but through a trusted servant, has been trying to find her father. Like James, she has mixed feelings about her paternal relative, but she’s miserable where she is, and he’s her only surviving family, so she hopes that by reuniting, life will improve for both of them. Fat chance. As the novel begins, Cat and James cross paths as the flames engulf St. Paul’s, into which she tries to run, and from which he restrains her, receiving a nasty bite on the hand for his pains. But he gets off easy, compared with others who cross her, and though you could say they mostly deserve it, she’s not someone to trifle with. And you can bet that as James penetrates the mystery of the corpse at St. Paul’s, and of others to follow, their paths will converge again. How that narrative unfolds is one of many pleasures The Ashes of London offers. Another is the prose, which conveys the place and time so completely that you feel you’re in it. St. Paul’s had given up a number of its dead because of the Fire, for tombs had burst open in the heat and flagstones cracked apart. Some corpses were little more than skeletons. Others were clothed in dried flesh in various stages of decay. . . . The souvenir hunters had been at work, and there were bodies that had lost fingers, toes, hands or feet; one lacked a skull. Taylor pays particular attention to social class, one way the novel feels alive. Cat, who grew up in a comfortable home and who flees her wealthy aunt and uncle’s house, must become a servant and go into hiding. For the first time, she walks alone in London and becomes a target for any man who cares to touch her or make lewd remarks, which underlines one difference between rich and poor. (That said, when Cat was with her aunt and uncle, she was betrothed to a titled suitor who seemed little better.) Similarly, James’s investigation would be complicated enough without having to bow and scrape before people who don’t condescend to notice his presence unless they wish to bully him–or, conversely, people of lower station than himself who act servile but may be untrustworthy. All this, Taylor handles deftly. For all that, I wish he’d expunged the clichés that occasionally mar his narrative. (“Cat could not speak. Her happiness was sponged away. Fear made it hard to breathe.”) He’s a much better writer than that, and for the most part–the vastly greater part–it shows in The Ashes of London. It’s 1945, and the Second World War is in its final, convulsive months, but in county Donegal, Irish country folk have their own violent conflicts to think about. The barn belonging to Barnabas Kane, an up-and-coming farmer, has burned, killing forty-three head of cattle and a handyman, Matthew Peoples. The fires have hardly cooled before the whisperings begin: Barnabas sent Matthew into the barn and was therefore responsible for his death. But no charges have been filed, and no one really knows what happened. Nevertheless, Baba Peoples, the late man’s crazy widow, believes Barnabas killed her husband, and that the Kanes owe her compensation. She even goes so far as to point out that Eskra, Barnabas’s wife, has brought “foreign ways” to the village; Eskra keeps bees, for example. What else would you expect from a woman born in America? 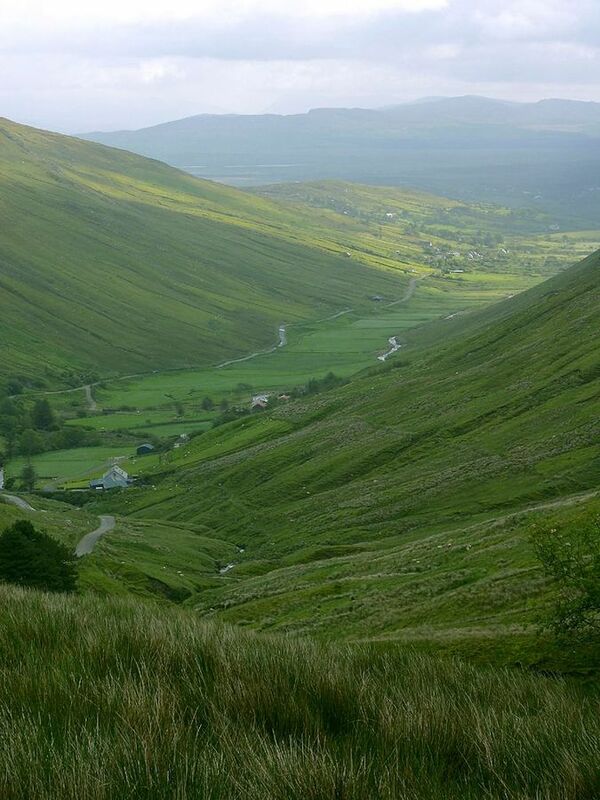 For that matter, villagers hostile to the Kanes–which, by now, is most of them–remind one another that Barnabas came from America too, forgetting that he was born in Donegal, emigrated, and returned with Eskra as his bride. It’s a brilliant stroke on Lynch’s part, showing how quickly superstition and prejudice prevent any reasonable assessment of the tragedy and turn it into an occult act perpetrated by evil, so-called outsiders. Consequently, Lynch gets remarkably far with a deceptively simple premise, and he’s not done. Not only does Barnabas privately wonder whether he did, in fact, send Matthew to his death, he’s quick to notice who among his neighbors failed to help quell the flames and to suspect that the fire resulted from arson. (A diary kept by his teenaged son, Billy, suggests that Barnabas may be right, though not for the reasons he believes.) True or not, however, his paranoid fantasies mirror what the villagers say about him, and his deep, angry depression makes him both impossible to live with and incapable of repairing the barn–for awhile, anyway. So nobody in The Black Snow gets off lightly, even when they deserve sympathy; the novel explores a complex moral problem, with no easy answers. I also admire the prose, which, at its best, is poetic. The plough still in the tapered field, poised with the lean of an animal in the moment before attack, its teeth bared waiting to tear at the neck of the earth, but it sat with a dog’s patience through days of raw cold and then rain and he had not the strength to go back to it. However, though I like this passage, there are others I find self-consciously ornate. Lynch is much too fond of fragments, and though the one above works, they don’t always. Further, as I read phrases like “the damask of puzzlement on her face,” I’m puzzled too, enough to pull me out of the narrative. Or I read “That rain came with a venomous slant to cut a man wide open,” and I’m stopped again, wondering why Lynch needs venom on top of cutting someone apart. And that’s the problem with The Black Snow–it’s over the top. Barnabas Kane (Cain?) eventually gets out of bed and rebuilds his barn, putting his faith in a fresh start. However, the setbacks come pretty hard afterward, and though I applaud these instances of “no; and furthermore,” I don’t believe them, especially when it comes to further violence from Billy and, of all people, Eskra. It feels strange to write this, for I’m one to criticize characters granted redemption they haven’t earned. In such cases, I’m tempted to ascribe that to a desire to appease the reader, a goal often (but not always) more common to commercial rather than literary fiction. But with The Black Snow, the most literary novel I could imagine, I find myself criticizing a narrative that refuses to grant redemption to characters who’ve plainly earned it, dealing out further punishment that’s frankly incredible. Go figure. 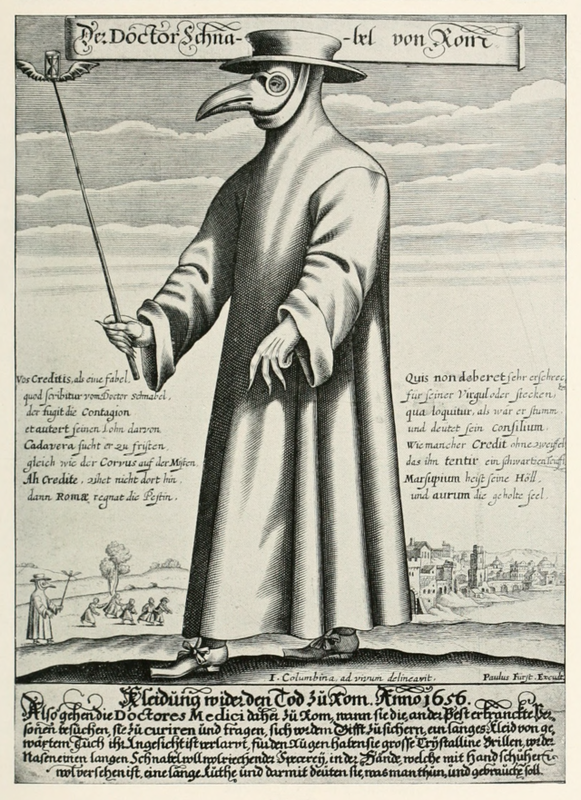 Where, you may ask, can you find wonder in a novel about a bubonic plague epidemic that causes apocalyptic losses and prompts superstitious people to destroy each other? Yet wonder there is, and a tiny Derbyshire village in 1666 becomes the water droplet in which a microscope reveals the world. Anna Frith, a young widow who supplements her meager living by serving the rector as housemaid, throws herself into the tasks imposed by a lethal disease that nobody understands. Apprenticing herself to the charismatic, tireless, and moody Rector Mompellion and his thoughtful wife, Elinor, Anna comforts the dying, mourns the dead, and tries to protect the survivors from each other–when she can. Through these thankless, seemingly pitiful efforts, Anna creates a wonder: herself. In this hottest of crucibles, she tests her abilities, courage, fears, religious beliefs, and ideas about love, tempering her character and soul. Year of Wonders is a coming-of-age story, among other things, and seldom have I read such an intelligent, unsparing, limpidly written, and satisfying one as this. Year of Wonders is, of course, a very different book, but Anna is herself a thinker, in her feet-in-the-soil way, and that, too, underlies the title. She repeatedly asks herself whether God sent the plague, and why, a prime question of the late seventeenth century, when Europeans were beginning to embrace scientific observation, not divine writ, as the key to deciphering the natural world. Her answers to this question change over time, and, fitting her character, occur in such ordinary moments as when she stubs her toe or takes a horse out for exercise. Though Brooks never makes this explicit–properly so–Anna, the rector, and Elinor represent the cusp of a frightening yet liberating discovery, the role of random chance. How they react to their gradual, hard-won insights makes this a rich, engrossing story. Year of Wonders is the third Geraldine Brooks novel I’ve read, and, like the other two (Caleb’s Crossing; March), she shows a sure hand with the language, ways, and social beliefs of the time. However, I prefer this novel (her first), because it feels fuller, somehow, more compact and direct, elegant in its simple framework while exploiting its angles and surfaces. I had a little trouble with the narrative, at first, trying to figure out the sequence of events, but that soon resolved. The ending, though very satisfying, may not be entirely plausible, but I like its irony, and it reinforces what Brooks is trying to say. I heartily recommend this book, which has given me a great deal to think about, as a reader and novelist. Disclaimer: I borrowed my reading copy of this book from the public library.